How to make oven roasted corn plus a simple chipotle flavored butter to serve it with. 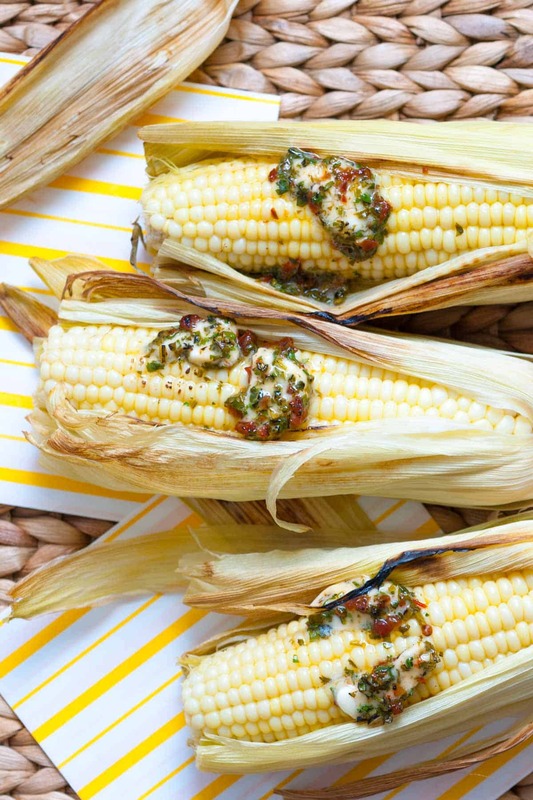 Jump to the Oven Roasted Corn with Chipotle Butter or read on to see our tips for making it. 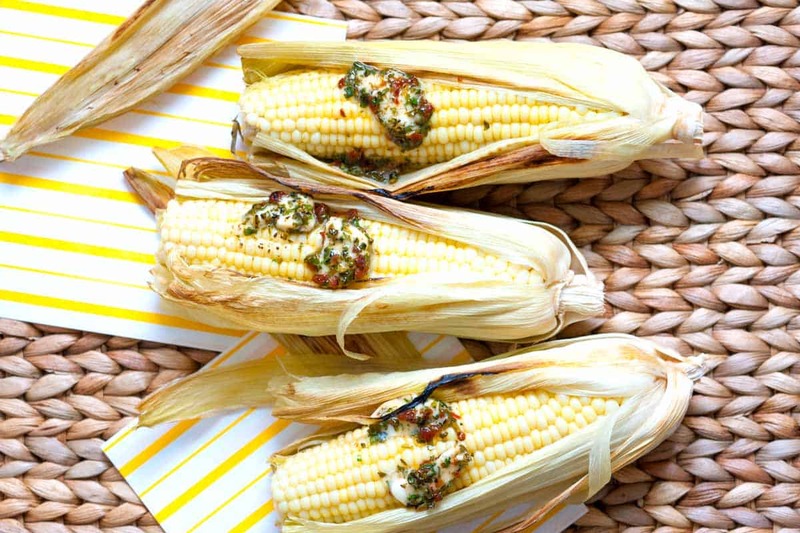 I love corn on the cob and take any chance in the summer to make it on the grill. When I can’t get out to the grill, I roast it in the oven instead. YOU MAY ALSO LIKE: How to make a smoky corn salad with smoked paprika and black beans. 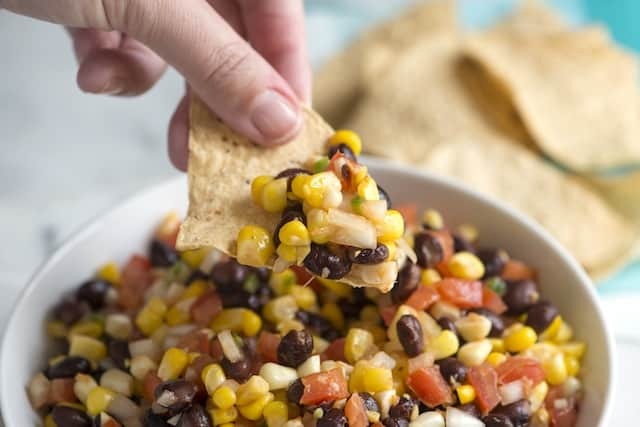 Jump to the Smoky Black Bean and Corn Salad. Roasting corn is incredibly easy. Place the corn still in the husks directly onto the oven rack and roast for about 30 minutes in a 350 degree F oven. The result is pretty darn close to what you would expect if you were to use an outdoor grill, minus the obvious smokiness. You can serve the corn however you like, but if you are up for it try making a simple flavored butter. We love this chipotle butter with cilantro, lime and chipotle peppers in adobo sauce. Chipotles in Adobo Sauce can be found in the international section of your grocery store, usually in a small can. They are hot and smoky and are a staple in our kitchen, we actually used them a while ago to flavor mayonnaise for our Agave Salmon Burgers with Chipotle Mayo and even added them to a Potato Fritatta. YOU MAY ALSO LIKE: How to make perfectly roasted brussels sprouts with garlic and ham. Learn our tricks for tender brussels sprouts that are perfectly caramelized. 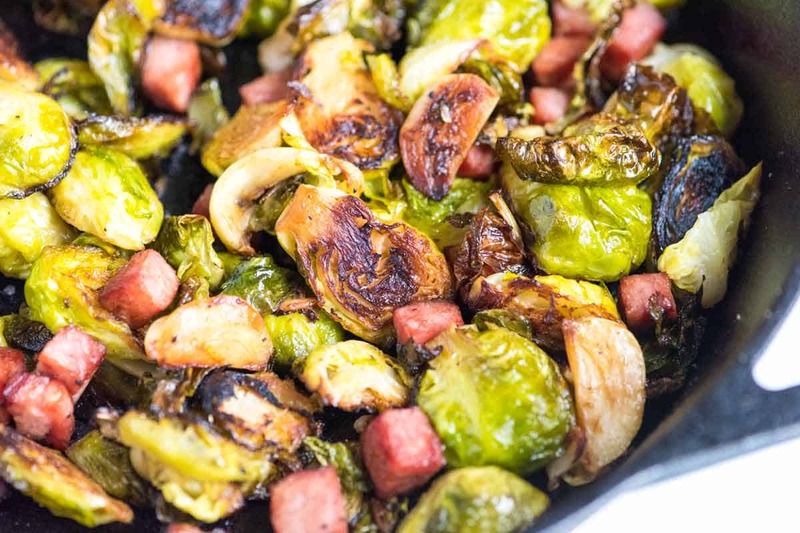 Jump to the Garlic Roasted Brussels Sprouts Recipe with Ham. You can serve the corn however you like, but if you are up for it try making a simple flavored butter. We love this chipotle butter with cilantro, lime and chipotle peppers in adobo sauce. Chipotles in Adobo Sauce can be found in the international section of your grocery store, usually in a small can. Heat the oven to 350 degrees F. Place corn husks onto the oven rack and roast for about 30 minutes or until corn is soft. 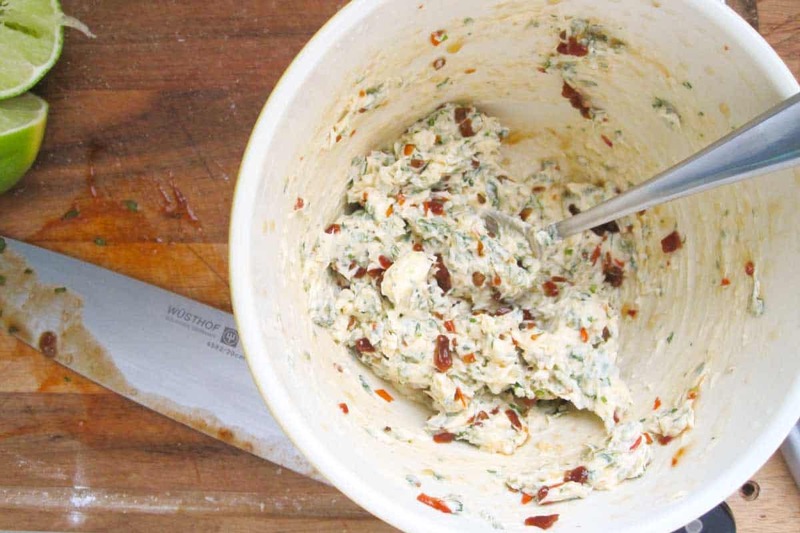 In the meantime, make the chipotle butter. 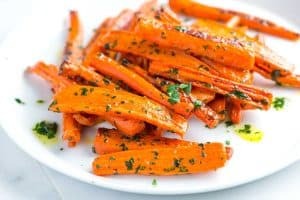 Combine softened butter, lime juice, cilantro, chipotle peppers and a generous pinch of salt. Place onto plastic wrap and roll the butter into a log. 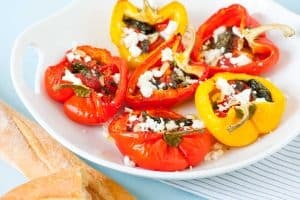 Place into the refrigerator or freezer until ready to use. Remove corn from the oven, peel down the husks, add a slice of chipotle butter and enjoy. Two hr’s later, I had a fabulous spicy corn and chicken thingy. Just fluked it. 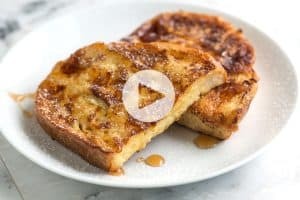 I don’t really cook that much, but have been enjoying this site. I just wanted to point out that in your recipe for oven roasted corn with chipotle butter, the recipe calls for 1/4 cup (1 stick) butter. One stick of butter equals 1/2 cup, so 1/4 cup butter would be half of a stick. In the picture, it looks like you probably used 1 stick of butter, but you may want to correct the recipe to read 1/2 cup (1 stick) butter. Thank you for pointing that out! I just corrected the recipe. It definitely should have been 1/2 cup (1 stick). Thank you! thanks, Miri Leigh – we love using chipotles in adobo sauce! I love this! I love grilled corn and always have grill envy but somehow never considered oven roasting. The chipotle butter is a nice touch. 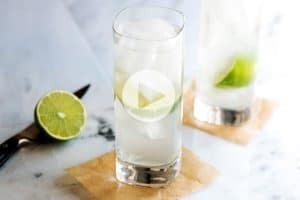 I will definitely be trying this soon, thanks! This looks so good! I’ll definitely have to try this out asap since my husband loves corn. We would like to try it out on the grill, but I’m afraid the best we can do is a teeny tiny charcoal grill on our porch. This sounds like a great alternative. Thank you for sharing!